Ambani addressed the audience to stakeholders and the audience a speech on the importance of mobile internet in the current age. 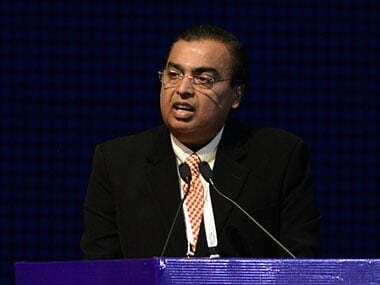 Reliance Industries Limited chairman Mukesh Ambani addressed the audience and stakeholders at the inaugural India Mobile Congress (IMC) event which will run from 27 September to 29 September. IMC 2017 is an exhibition that brings together various stakeholders in the telecom and technology sectors. It's expected that discussions on the future of the telecom sector and mobile industry will be discussed. Ambani, who recently launched India's cheapest 4G feature phone and operates one of India's largest 4G networks, addressed the audience to stakeholders and the audience a speech on the importance of data in the current age. Describing IMC 2017 as "an event that signals that India is one of the biggest telecom and digital markets in the world," Ambani pointed out that the pace of growth in India is unparalleled. He claimed that in 10 years, India's economy will go from $2.5 trillion to over $7 trillion. "To make this happen," says Ambani, "India's telecom and IT industry has to play a foundational role." He likens the advent of the truly digital age to the fourth Industrial Revolution, stating that this will be a revolution fuelled by "connectivity, data and AI." He expressed his belief that this revolution will be more transformative than any before it. "Mobile internet and cloud computing are the foundational technologies of the fourth Industrial revolution. Data is the new oil", claims Ambani. Stressing on its importance, Ambani stated that India now has an abundance of data bandwidth and that it will create new "sources of opportunity." Addressing the telecom sector in general, Ambani said, "We have the urgent task of empowering 1.2 billion Indians with the tools to flourish in a digital marketplace." Data is akin to Oxygen, thinks Ambani, and states that limiting access to such a vital resource will be very harmful. Ubiquitous access to high speed data at affordable prices and devices that can take advantage of said data is important, thinks Ambani. The RIL chairman believes that giving Indian youth access to this data and the "limitless power of the Internet" could transform India into a nation of "a million startups." 1. Employing youth: New ideas for generating employment and encouraging self-employment in India's youth must be explored. It's necessary to "foster confidence" in new and emerging technologies like AI, blockchain, cloud computing, 3D printing, etc. These are enablers of new wealth. 2. Resource security: Ambani believes that technology can be used to discover and secure new sources of energy. The efficiency of existing energy extraction and consumption can also be improved with technology. He also states new modes of transportation as well as more efficient transport mechanisms can soon be a reality. The Internet of Things will help connect "everything and everyone." Data will help 130 crore Indians collaborate and will "democratise human life" like never before, says Ambani. 3. Digital education: Digitisation of skill training, thinks Ambani, is crucial for the youth, and to get our country to embrace the coming digital revolution. He ends his speech with an appeal: "We must start by becoming the change we seek to create. We must break silos and cooperate." 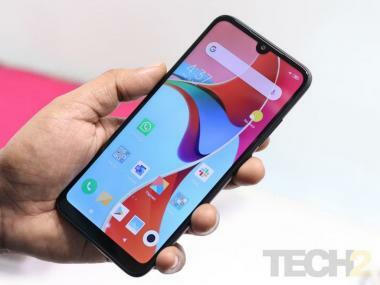 He believes that India can grow and prosper like never before and that mobile technology can "pave the path" to a better quality of life for all Indians. "Today, we are an unstoppable nation," he concludes.